January 5, 2016 | ProgressTH An ongoing project started in 2009 by the US-based Metro Atlanta Task Force for the Homeless, is truly an inspiration and example for building stronger communities, and solving many of the problems the world faces by starting right in our own backyards, or we should say, on our own rooftops. The Task Force has built an impressive garden on the rooftop of an equally impressive homeless shelter and community service center. The garden aims to provide at least one salad a week for residents at the shelter, and the garden itself provides an opportunity for both residents and community members to learn about gardening and growing food by volunteering to care for the rooftop garden. Those who wish to learn more, can move on to Truly Living Well, an urban agricultural center partnered with the Task Force. There they can learn more about producing food, and get to know the local area's growing farmers' market community. 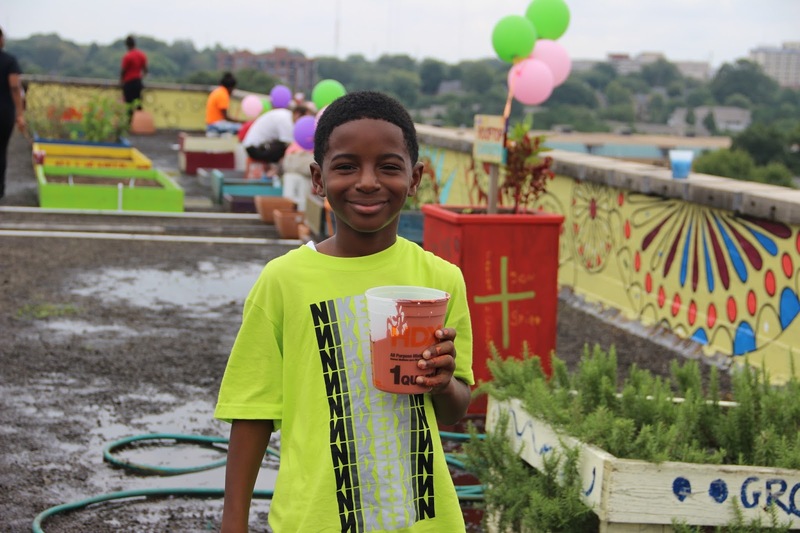 The story of the Task Force's rooftop garden, its efforts to help local homeless people, and efforts to do so in a manner that ties the community closer together, helps people answer the question of "what can I do?" We may not be able to change the world by ourselves, but if we all improved and strengthened our individual communities, we could certainly change the world together.